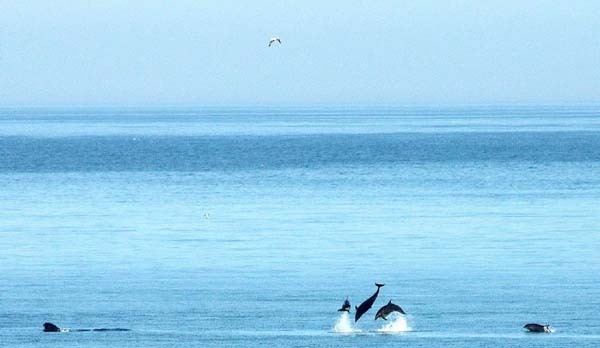 This warm and very well appointed cottage is right on the beach front and has fabulous views over the sea - dolphins are frequently spotted here. It's ideal for a couple wanting a relaxing and quiet break or for a family holiday all through the year in this special corner of Scotland. 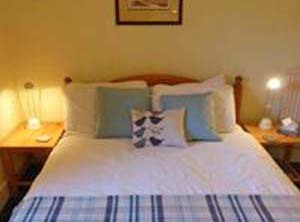 Johnshaven is a very friendly village and has an excellent hotel serving superb home-made food - just a 5 minute walk from Puffin Cottage and dogs are welcomed too! There is a working harbour where small fishing boats land their catch of seafood - if you are holidaying in August you can enjoy the village's Fish Festival. The area is rich in castles and distilleries and the Castle and Malt Whisky Trails in Royal Deeside are easily reached. There is a fantastic network of cycle routes and some superb golf courses nearby. 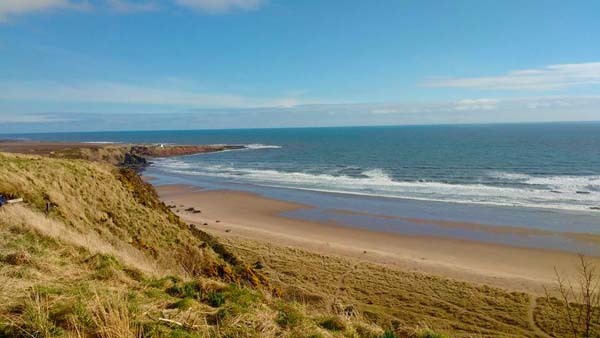 The Blue flag beaches of St Cyrus and Montrose offer miles of sandy beaches and are never crowded. The beach in Johnshaven is a pebble beach with lots of interesting rock pools to explore with the nets from the cottage and it's a good spot for beachcombing. There are lots of lovely walks from the doorstep and the Coastal Path runs through the village. The area is ideal for wildlife and birdwatching. Fowlsheugh RSPB reserve is just a few miles away and the spectacular cliffs are home to thousands of seabirds, including puffins, guillemots and razorbills. The Montrose Basin nature reserve, just 10 miles south of the cottage, is home to seals and eider ducks as well ospreys in the summer and pink foot geese in the winter. All accommodation is on the ground floor although there is an accessible but undeveloped 'Dolphin Spotting Deck' in the loft, complete with telescope and binoculars! 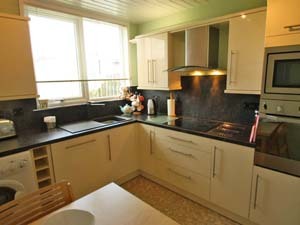 The dining kitchen is newly refurbished and fully equipped, with a fan oven cooker, washing machine, fridge/freezer, dishwasher and a microwave. The owners have tried to think of everything you might need and flasks, torch, portable barbecue and hot water bottles are provided too! 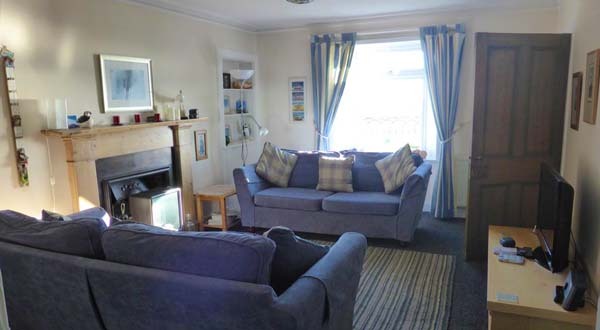 The good sized sitting room overlooks the pebble beach and the view from the window provides constantly changing seascapes as you enjoy the comfort of two large 3 seater sofas, set in front of a cosy coal fire. 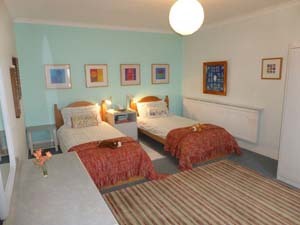 A charming double bedroom overlooking the garden, provides a comfortable and restful environment. The second bedroom enjoys a beach view and is furnished with two single beds and an Ikea single sofa bed with comfortable mattress. This spacious room can also double as an ideal play area for children. 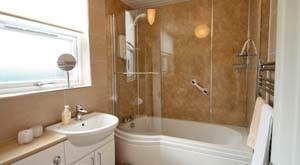 The bathroom has been upgraded and has WC, washbasin and an electric shower over the bath. The large enclosed back garden provides a safe and secure area for small children and dogs and is ideal for outside dining. Garden chairs are stored in the front porch and can be used in the front garden to sit in the sun and watch for passing dolphins. 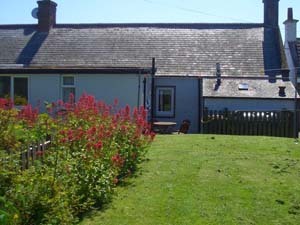 The area of grass on the seafront opposite also belongs to the cottage so you have plenty of outside space! In the centre of Johnshaven - directions provided on booking. All oil, electricity and linen is included in the price. Free WiFi. No charge for dogs. Change over day is Saturday - check in 3pm and check out 11am. 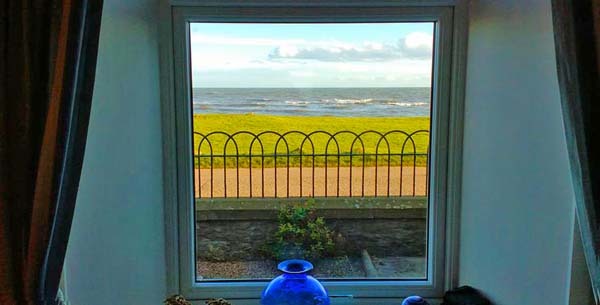 To book this delightful seaside cottage on the Aberdeenshire coast, please click the enquiry button below to see availability and prices. 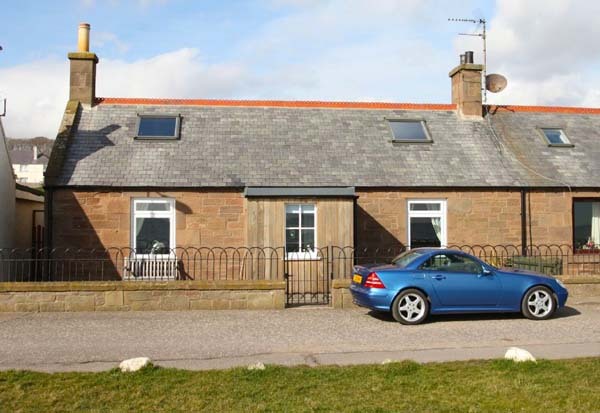 This delightful pet friendly cottage is very well appointed and comfortable - perfect for exploring the Aberdeenshire coast. There are great walks from the doorstep and an excellent pub serving superb food just 5 minutes walk away - and they welcome dogs too!